Pebble Watch Breaks Kickstarter Record! They rasied 1 million dollars in 40 minutes, a new record! People must really want this watch! 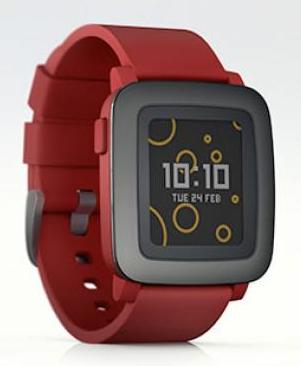 I4U News – By: Luigi Lugmayr – “A new Pebble Smartwatch has been revealed on Tuesday, Feb. 24, 2015. Pebble offered the new color smartwatch Pebble Time again as a Kickstarter project and it reached the modest funding goal in no time. Now the campaign is over and Pebble raised over $20 million from about 78,000 supporters. Pebble broke the record of fastest project to raise $1 million (49 minutes). Pebble also became the most-funded campaign in Kickstarter’s history after receiving more than $13.3 million in pledges after the first week. ‘We cannot thank the Pebble community enough for their monumental support. We continue to listen to and be inspired by the backers who believed in us and supported our vision from day one,’ said Eric Migicovsky, Pebble CEO according to CNN. Pebble released a steel version of the Pebble Time soon after the original Pebble Time got unveiled. Pebble will now be spending the coming months hard at work polishing every last detail of Pebble Time and Pebble Time Steel, finishing Pebble timeline, and ramping up the production process. While the numbers sound impressive they are not in the bigger picture. The Apple Watch sales numbers will just make the 78,000 customers for the Pebble Time look like nothing. Apple is expected to sell millions of Apple Watches in the first wave when the first Apple smartwatch goes on sale in April. The new Pebble Time is a color e-paper smartwatch that offers up to 7 days of battery and a new timeline interface that highlights what’s important in the wearer’s day. The new color e-paper display has a high contrast and always-on, perfect for displaying incoming notifications and the watch face. Compared with display technology like LCD or OLED, power consumption is minimized, enabling Pebble Time to achieve a battery life of up to 7 days. Pebble Time’s new microphone lets users send voice replies to incoming notifications or take short voice notes. Pebble used the latest technology to maintain water resistance so consumers can swim or surf with Pebble Time. It is not water proof to the degree that it can be completely immersed in water. Pebble Time is much better looking than the current Pebble. The lens is crafted from scratch-resistant Gorilla Glass with a bezel made of stainless steel. Like our previous watches, it’s water resistant – perfect for a run in the rain, water-balloon battle or a swim.